Every summer we take a family trip to North Conway, New Hampshire. It’s a great area and there is loads to do for kids of any age. We have done this trip so many times, we have really ironed out the kinks. Here is our perfect itinerary for a long weekend in the White Mountains. We usually head out by 8 am and it is a 3-hour drive for us. By the time we get there, the kids need out and everyone is hungry, so we grab a bite to eat. 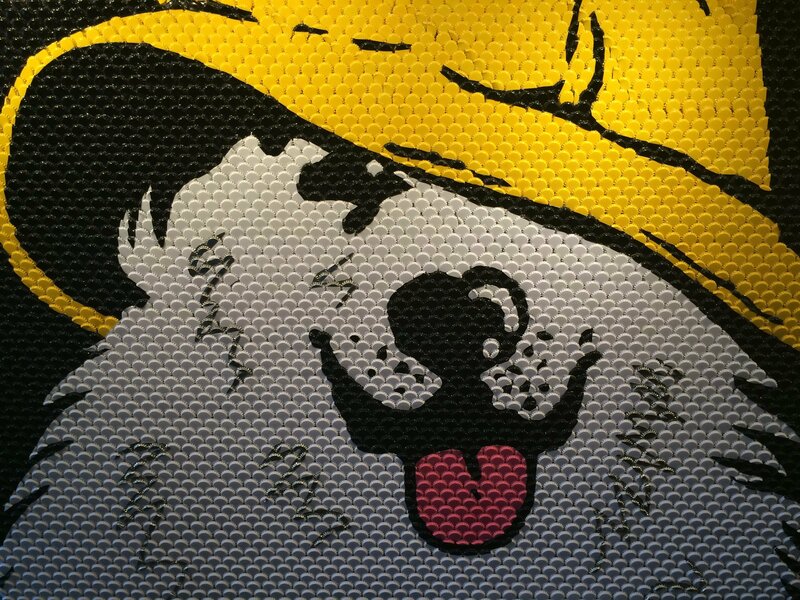 We usually eat at the Sea Dog. The food is nothing special but it is family friendly and there is never a wait. Next we head to the Conway Scenic Railroad and hop on the Valley Train for a one hour trip on a historic train. Fork over the extra money to bump up to first class so you can ride on the Gertrude Emma. This vintage train has big wicker seats with double-wide windows. It was built in 1898 and has been beautifully restored with rich mahogany woodwork that makes you feel like you went back to the olden days. You want to sit on the side furthest from the station for the best views, or switch sides on your way back to take it all in. The views of the mountains are beautiful and there is something so relaxing about the clickety-clack of an old train. When you reach the end of the track, be sure to head to the observation deck to see how a train is coupled up for your return trip. You don’t have to be a train buff to find it interesting. This trip is less than an hour and I don’t think the kids would handle anything longer. It’s the perfect length for us but if you want more, there are longer scenic tours and first-class dining experience you can take advantage of. Well-behaved dogs are always welcome too! My favorite part of the train station is the Ben & Jerry’s right around the corner. We have stayed at several places in North Conway, but our favorite is the Red Jacket. There is an amazing view of the mountains and most importantly, they have the most fun water park, Kahuna Laguna. Read my full review of The Red Jacket Mountain View Resort here. We check in to the hotel, throw our bags in the room and head back out again because the kids are so excited to get to Story Land. If you buy a ticket after 3:00, you get another ticket to use any time. Since the park is too big for our little kiddos to cover in one day, this gives us 2 hours to cover one corner of the park. The next day, we spend the whole day there with our free tickets. We usually do this trip in June right when the kids get out of school. It’s a nice way to celebrate, the weather is warm and the crowds are low. We don’t usually wait in line at all. We really love Story Land. It’s like Disney for toddlers. It’s just great that they can go on almost every ride. One year we headed up to Santa’s Village but we didn’t feel it was worth the drive since it is another hour further north. We usually do a trip to Lincoln, NH in the fall and like to hook on a visit to Santa’s Village on that trip since it’s closer. Story Land is so much fun for the kids and it’s clean and safe. 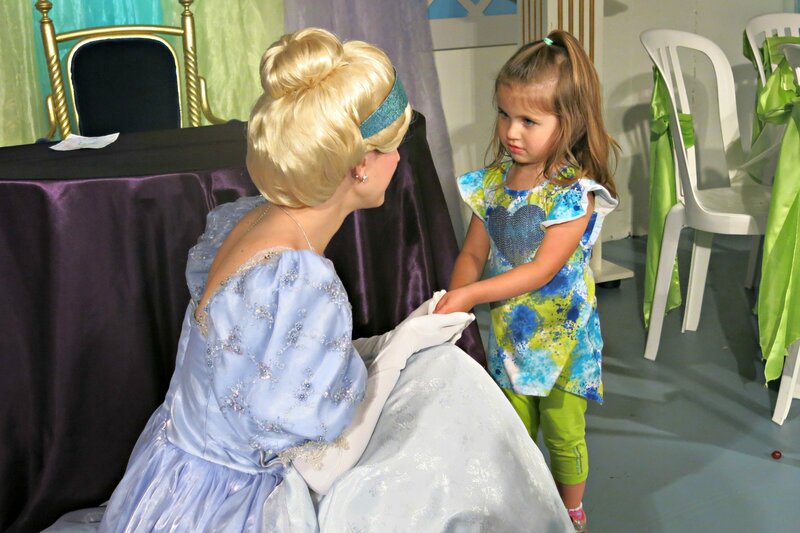 Your little princess can also have teatime with Cinderella. Mothers with infants can find baby changing rooms with rocking chairs in case you need a quiet place to nurse. The park also offers free kennels to leave your dog in if needed. By the end of the day, the kids are passing out in the car. There is always a lot of traffic leaving the park so we call in a pizza at Flatbread Company and bring it back to the hotel room. The kids always have a second wind and drag us to the water park. If we go out to eat, The Moat is our favorite. Don’t miss their beer sampler and nachos with mango chutney. This place is always packed and they don’t take reservations so come early. Saturday we head to Cranmore Mountain Resort, which is right in town. They have a really fun mountain coaster, summer tubing, a kid’s ropes course, a mining adventure, and several other things I am too chicken to do like the giant swing or soaring eagle. We usually spend the better part of the day here. After that, we just wander around the town to see the village shops. There is an awesome toy store in the center of town called the Toy Chest. Zeb’s General Store is always fun to peruse. Frontside Coffee Roasters has the best coffee in town. If we didn’t have a free breakfast included, we would have bagels here in the morning. If you want to do more shopping, there is an entire outlet called Settlers Green but we have never wanted to spend our time in the mountains shopping. If you get a rainy day, check out the MVW Children’s Museum in town. It is a really cute place with lots of different set ups for the kids to play with. Sunday is our wildcard day and we try to do something different each year but it is always outdoors. We have hiked around Diana’s Bath Waterfalls and checked out the views at Echo Lake State Park. The scenery is beautiful. I am a big fan of stopping somewhere along the ride home to break up the ride for the kids and tire them out. Last year we did Polar Caves and that was really fun. They loved crawling through the caves and running through the labyrinthine pathways. 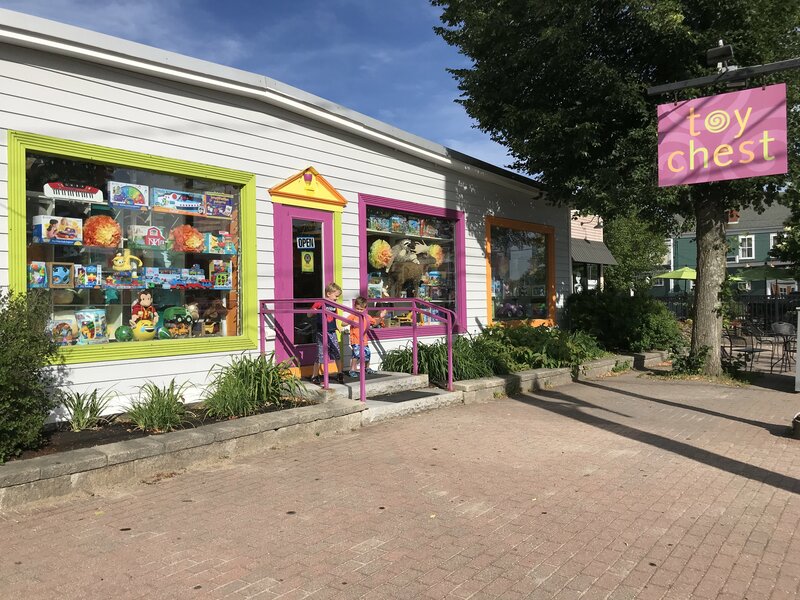 North Conway is such a great area for a vacation because there is something for every age. Not only are there great restaurants and attractions in town, but there are so many opportunities to explore the outdoors. What a great story. It brings back so many memories of when our son was small and our trips there. Many of these events and locations are great for adults without kids too so we still love North Conway. Great tip to upgrade to first class on the railroad, I’ll put that on my to do list next year!